If you have made an urgent phone call to your family or sent a simple text message to a friend, then you have taken part in the ICT revolution. And it seems to be ever growing as more uses of this platform are found. From a simple advertisement in your email inbox; to online marketing; to interacting with friends over various social networking platforms; the use of ICT has no doubt taken an integral part of almost every individual’s life in today’s modern world. These digital technologies have uses that can help individuals, businesses or organisations use information, and also to disseminate information – and that in a simple sense defines ICT. With that in mind,consider the state of Papua New Guinea: it is a developing country that is prone to natural disasters and the effects of climate change affect the country’s 87% of the rural population who depend heavily on agriculture. With food security and a cash economy at stake, a recent talk has placed PNG among a group of countries to take part in the use of ICT to help boost agriculture. Reports have shown that extreme weather events like heavy rains, droughts, floods etc. have the potential to affect thousands, if not millions of people that take part in agriculture in the developing nations, who according to World Bank (2015) make up about half of the world’s population. Under the World Meteorological Organisation (WMO)’s Global Framework of Climate Services (GFSC) the AgriMet Department of the Indian Meteorological Department (IMD) has devised an elaborate system to help farmers in India with timely weather-based crop advisories to plan the agricultural cycle. This system, which sees extensive usage of ICT, will be replicated for use in PNG including other developing countries across the world – a global initiative by WMO to help the agricultural sector deal with the threat of climate change in developing nations. Dr Nabansu Chattopadhyay, Deputy Director General of AgriMet, said this initiative will see IMD scientists sharing satellite data with the countries, and providing seasonal forecasting while using India’s outreach model to inform the farmer communities through usage of information and communication technology. 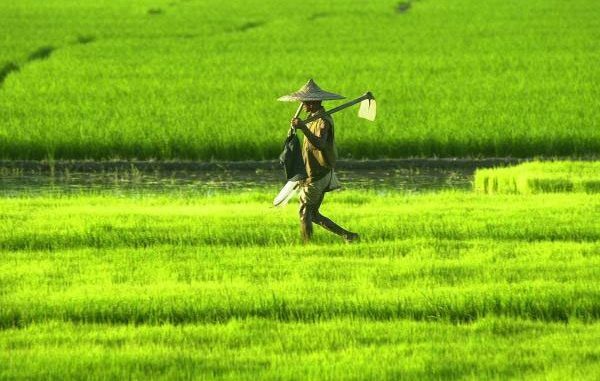 The weather-based crop advisories issued on a regular basis by IMD reaches to around 4,000,000 farmers in India through text messages or through voice messages. Farmers had to register free of charge on a national farmer’s portal with their mobile phone and messages were streamed through to them. Farmers have reported a significant rise in their income by timely availability of such weather based agricultural inputs.